If you’re heading for a vast country like Chile and you only have maximum of two weeks, you can still have a thoroughly exciting trip. Of course, spending two weeks in some of the famous destinations in the country still won’t scratch the surface. However, by organizing your itinerary in advance, minimizing your travel time and prioritizing which destinations you would really like to see, you can make the most of your two-week Chile vacation. Our suggested itinerary ensures that you truly experience the rich indigenous culture and the natural wonders of this beautiful country; to see the most in two weeks. Ready to go? 1.Language – The official language of Chile is Spanish which is spoken by the majority of population. However, it is important to note that the people also use Chilean Spanish, a manipulation of the Spanish language which has its own distinct pronunciation, grammar, and slang. Ergo, tourists who speak Spanish might have a hard time understanding when the locals speak Chilean. Many Chileans speak English but there are also many who don’t. Even if they don’t speak English they still remain friendly and often somebody is called who can speak English. It is, however, recommended to learn a few important phrases before going on your trip. 2.Money and costs – The official currency of Chile is the Chilean Peso (CLP). Exchanging money in Chile is easy and follows the same standard to elsewhere in South America. It’s also good to know that US dollars can only be used in some stores in Santiago so exchanging to local currency is recommended. Most major establishments like hotels and restaurants in major tourist and business destinations accept credit cards. The best way to get local currency is to use the ATMs, which are widely available in Santiago and other major cities, and withdraw in Chilean peso to get the best rate. 3.Safety and security – There is currently no nationwide security advisory in effect for Chile. Check your country’s travel advisory website to get the most up-to-date information for your personal safety abroad. Chile is generally a safe destination and the locals are kind to tourists. However, be careful with pickpockets as pick pocketing has increased in recent years, especially in major cities like Santiago. Be careful on crowded metro (subway), tourist attractions and taxis and know what’s happening around you. It is also advisable to carry a money belt instead of a hand bag so that you can fully appreciate the beauty of Chile without having to worry about your belongings. 4.Getting there – Arturo Merino Benítez International Airport in Pudahuel is the biggest airport in the country and a gateway for foreign visitors to Chile. It is located less than 10 miles from downtown Santiago and it is very well connected to the capital city by bus and taxi. A round-trip airfare from New York to Santiago starts at 700 USD; from London – 795 USD; Johannesburg, Sydney and Hong Kong are in the same price bracket – 1200 USD and up. 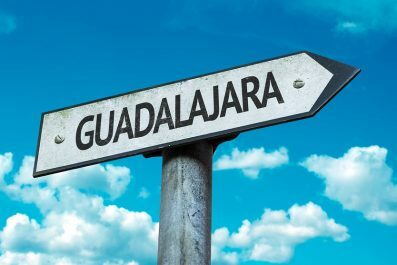 5.Where to stay – If you are going to follow this suggested itinerary, you will have to look for accommodation in Santiago, San Pedro de Atacama and Easter Island. Various luxury hotel chains and boutique hotels are present in Santiago. 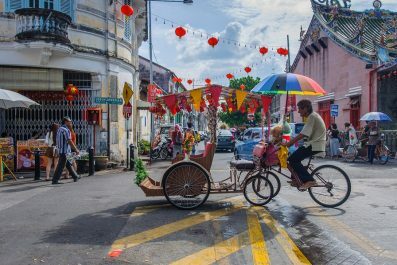 Backpacker and youth hostels are also aplenty in the capital which normally offer friendly and cheap accommodation. San Pedro de Atacama also has a wide range of accommodation options, with something for every level of comfort and budget. 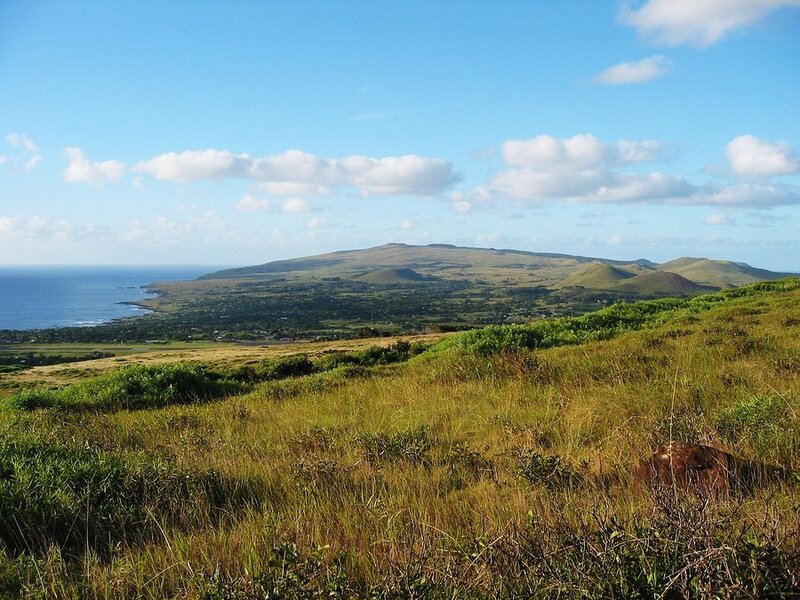 In Easter Island (Rapa Nui), almost all hotels, shops, and restaurants are located in the village of Hanga Roa. There are plenty of accommodation options on the island mostly family-run ventures. Budget travelers will be delighted to know that there are also smaller hotels in the village. Assuming you had to cross an ocean to get to Chile, your first day will be rife with jet lag. Take a flight that arrives in Santiago as early as possible and check in to your preferred hotel/hostel. To walk off your jet lag, hit one of the breakfast spots in the city. Check out the historic Boulevard Lavaud, a restaurant from the early 20th century (Compania De Jesus 2789, Santiago 8320000, Chile; tel: +56-2-26825243). Sit at a table, people watch or read a book. You may also go back to your hotel so you can rest a little bit before your walking tour in the afternoon. Before you go on your walking tour, enjoy a seafood lunch or just browse at Mercado Central (Central Market), a national monument famous for its huge variety of products from the Pacific. 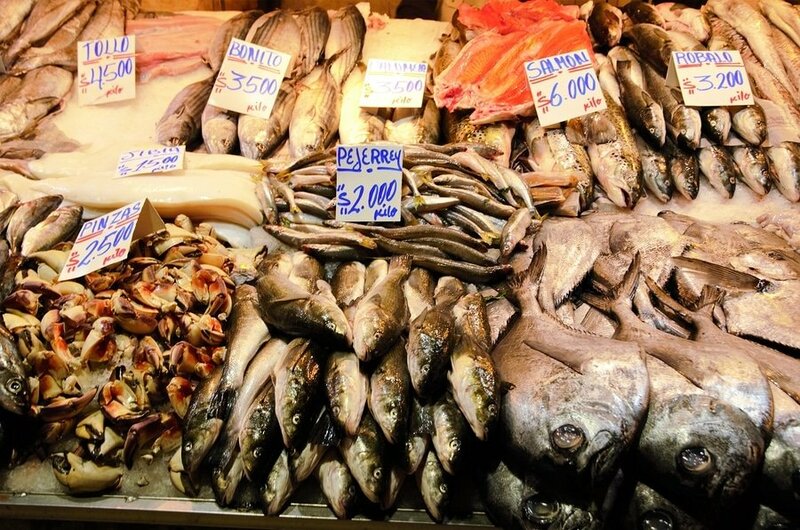 Squids, crabs, oysters, clams, shrimps and all sorts of fish can be found here. In the afternoon, head to Centro Cultural Palacio de La Moneda (Palacio de La Moneda Cultural Center) located in Plaza de la Ciudadanía for some impressive exhibitions and rotating art displays. Close to Plaza de la Cuidadania, stroll along Paseo Ahumada (Ahumada Boulevard) for some shopping before you make your way back to your hotel. Unless breakfast is included in the price of your accommodation, start your day at one of Santiago’s best breakfast and brunch spots – Coquinaria (Alonso de Córdova 2437, Santiago, Vitacura, Región Metropolitana, Chile), The White Rabbit (Antonia López de Bello 118, Providencia, Región Metropolitana, Chile) and Holm Ensaladeria (Francisco Antonio Encina 1723, Providencia, Región Metropolitana, Chile). A typical breakfast in Chile is usually light, consisting of buttered toast and a cup of coffee or tea, sometimes accompanied by yogurt or fruit. For a heavier breakfast, head to Cafe Melba (Las Condes, Santiago, Santiago Metropolitan Region, Chile) and enjoy their all day breakfast including French toast, brewed coffee, eggs and bacon, muffins and bagels. After breakfast, dive deeper into local experience by visiting one or two of Santiago’s best loved museums like the Museo Nacional de Historia Natural (Parque Quinta Normal, Santiago, Región Metropolitana, Chile) and Museo de la Memoria y los Derechos Humanos (Museum of Memory and Human Rights; Avenida Matucana 501, Santiago, Región Metropolitana, Chile). 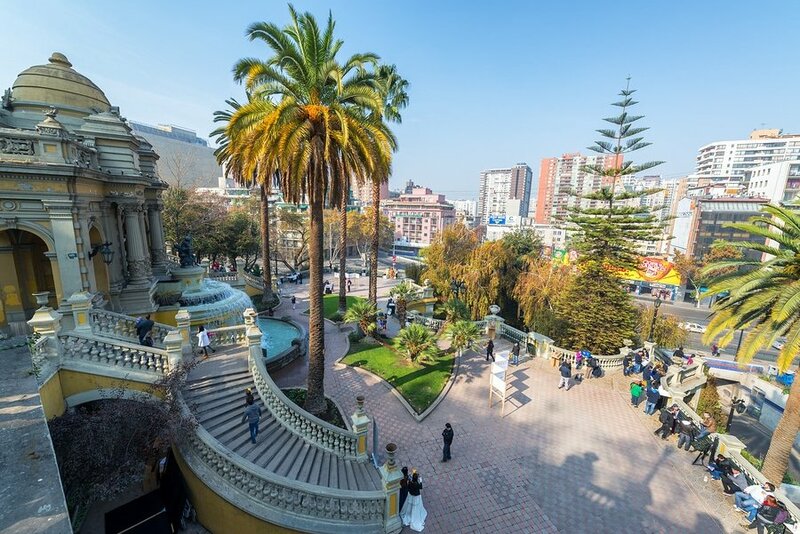 Then make your way to Cerro Santa Lucia (a small hill in downtown Santiago, adorned with ornate facades, stairways and fountains), to get a fantastic view of Santiago. In the afternoon, wander aimlessly at Barrio Lastarria, a historical neighborhood in the heart of Santiago. Here, you will find lots of cinemas, theaters, shops and cafes. You may also check out Barrio Bellavista, the main bohemian area of Santiago. 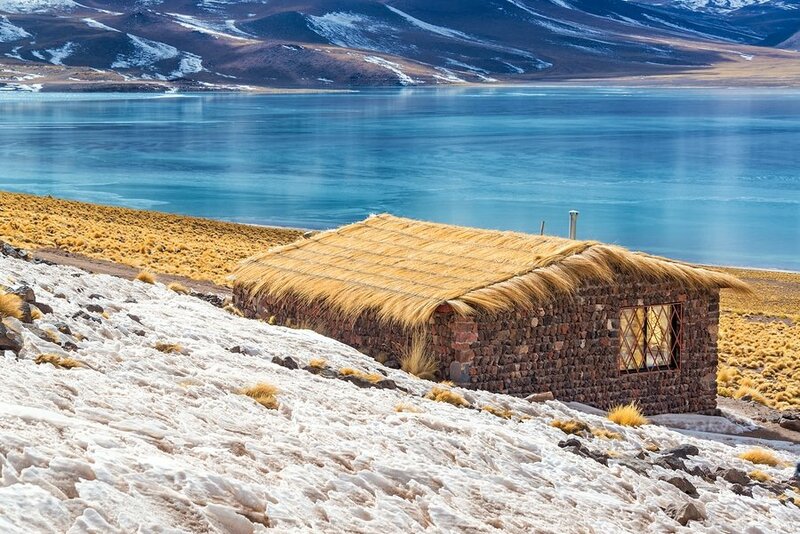 Undoubtedly one of the best travel experiences in South America is a visit to San Pedro de Atacama, located in northeastern Chile. Its stunning landscape consists of salt flats, volcanoes, desert and hot springs. Half day, full day or multi-day San Pedro de Atacama tours are available and need not to be booked in advance. There is no shortage of tour companies in town so you should be fine making your booking once you arrive. You will see notice boards outside every tour company office that shows available tours over the next 24 hours. You may check out several tour companies as their prices may vary. You may also book directly through your hostel or hotel. 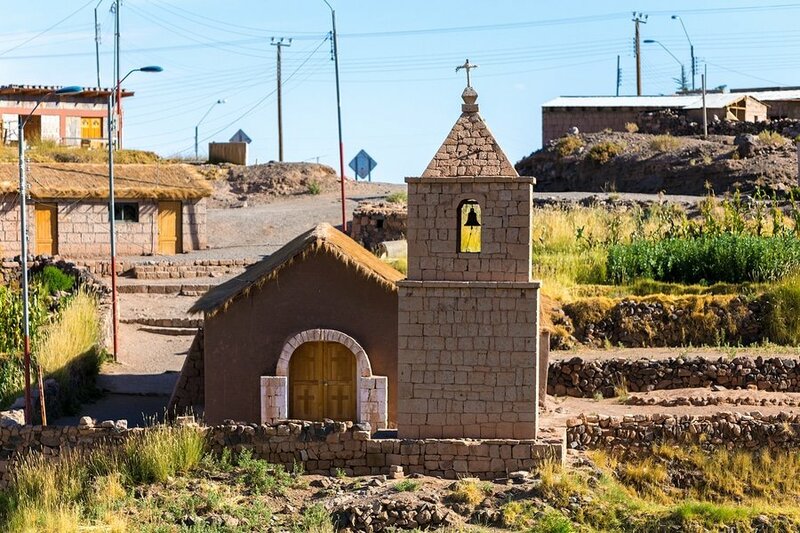 To get to San Pedro de Atacama from Santiago, take a two-hour flight to Calama’s El Loa Airport with LAN Airlines (round-trips start at about 290 USD) or SkyAirline (round-trips start at only 110 USD). From there, it is about an hour drive to San Pedro. Transfer Licancabur is the official transfer service in Calama but there are plenty of transfer companies to choose from. Licancabur’s one way fare is $12.000 CLP (16.80 USD) while ordinary buses costs $2.500-$3.000 CLP (3.50 – 4.20 USD). Upon arrival in San Pedro, check in to your preferred hotel or hostel and take it easy and soak up the atmosphere on this day. Natural factors such as acclimatization to high altitude requires most visitors to take a rest and recover. 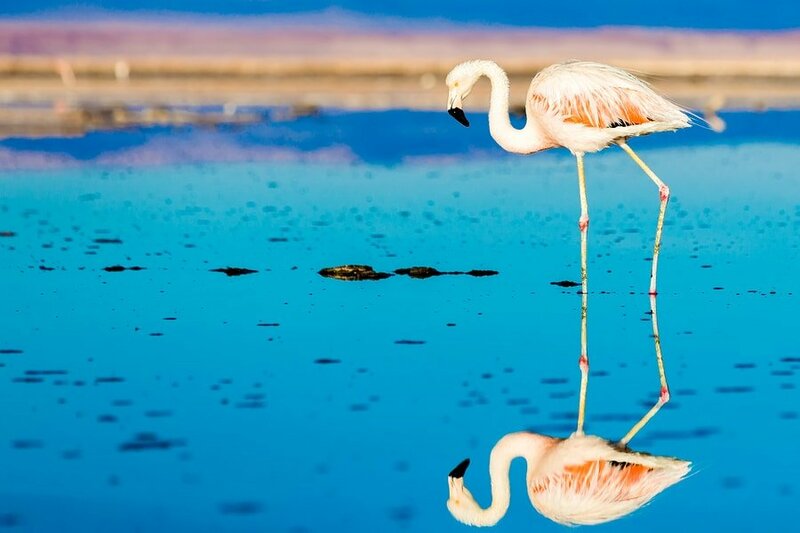 The next day, wake up early and join a guided tour to the Salar de Atacama (Atacama salt flats) in Los Flamencos National Reserve. Here, you will have the opportunity to see three species of flamingos nesting at the Chaxa lagoon. After a quick visit to the picturesque town of Toconao and lunch in a local village, your group will continue on to the the Miscanti and Miñiques lagoons. 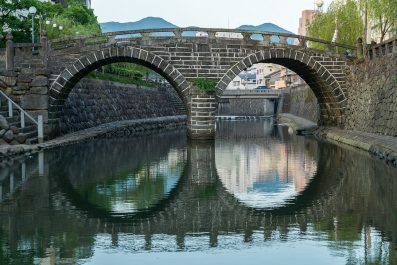 The opportunity for incredible photographs is endless during the tour (don’t forget to bring your camera!!! ), so frequent stops are provided for visitors to enjoy the landscape. The altiplanic lagoons are excellent places for birdwatching with almost guaranteed sightings of flamencos. On day 5, take a full day trip back to Los Flamencos National Reserve and visit the Salar de Tara, near the Argentina, Bolivia and Chile border. It is a lesser-known but incredibly stunning area in the Atacama Desert so expect no other tourists. In the evening, have a light and relaxing dinner at one of the local restaurants in San Pedro. If you still have energy, go for the ultimate stargazing experience and join one of the desert stargazing tours which normally lasts for 2 hours (44 USD). Tours are available each clear night, apart from nights around the full moon. 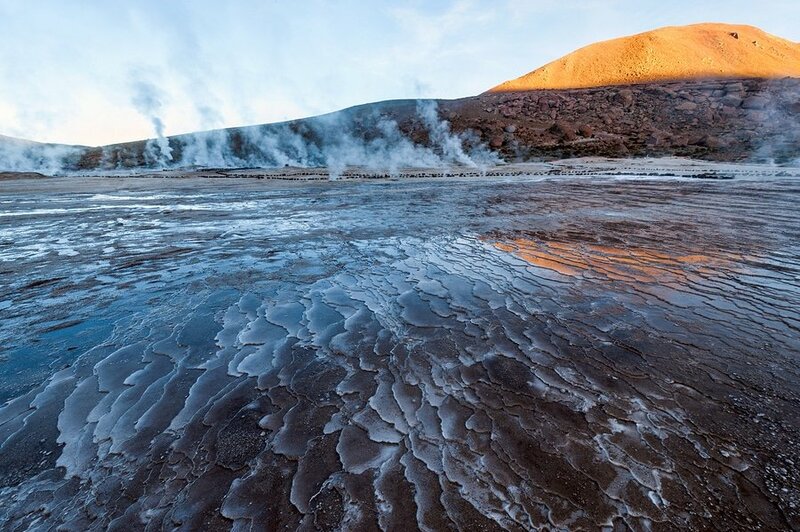 On day 6, your tour will start very early at 4 or 5 in the morning to visit the El Tatio Geysers, one of the world’s highest geyser fields. After your tour of the geysers, your group will head to Puritama Hot Springs before you travel back to San Pedro. Due to the high altitude, this tour is not recommended for visitors on their first or second day of stay in San Pedro. Also, temperatures can drop between -5C and -15C (23F – 5F) so it is recommended to dress warm. Getting to Easter Island (Rapa Nui) might be a challenge because there are not many options for reaching this island that is one of the most isolated places on the planet. 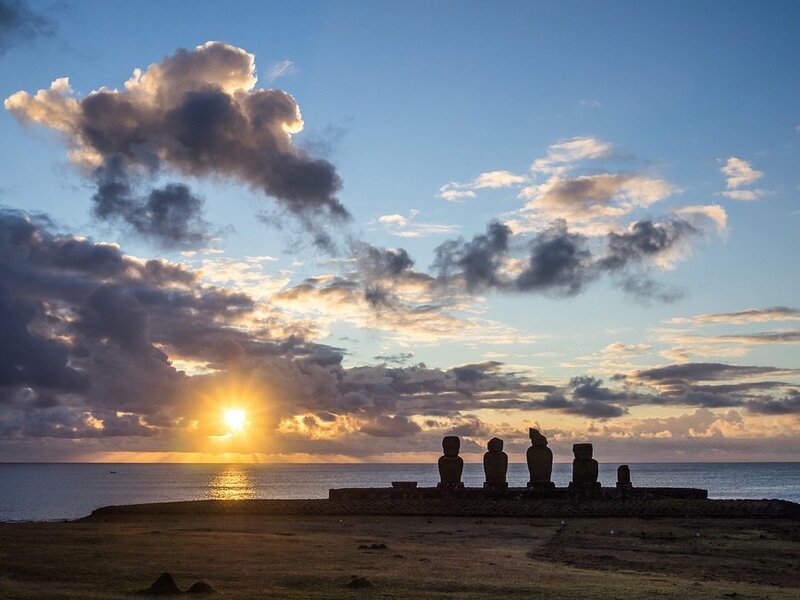 There are flights to Rapa Nui’s Mataveri Airport from Santiago (Chile), Lima (Peru) and Papeete (Tahiti) via LAN Airlines, the only airline that flies to Easter Island. Travel time from Santiago is a little more than five hours in duration and a round-trip tickets starts at 395 USD. Considering that you need to travel by air back to Santiago from San Pedro de Atacama, you can choose to stay overnight in the capital. Or, you can choose to travel to Easter Island after your arrival in Santiago. If the pace gets too hectic, just rest for a couple of hours and set your priorities, after all you are on vacation. Easter Island (Rapa Nui) is probably included in the bucket list of many travelers who are intrigued by the monolithic statues called moai. 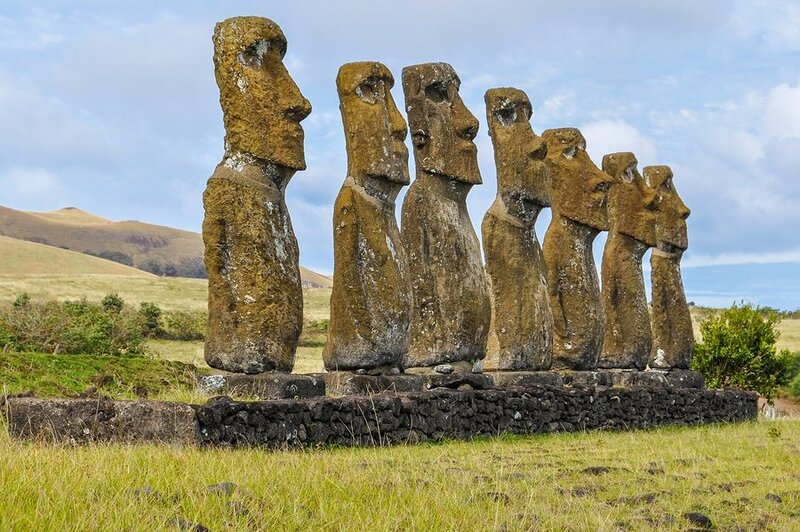 These mysterious moai statues were carved out of volcanic rock between the 11th and 14th centuries by the early Rapa Nui people. They carved and erected nearly 1,000 moai across the island, but no one really knows exactly why the Rapa Nui people undertook such a considerable task. 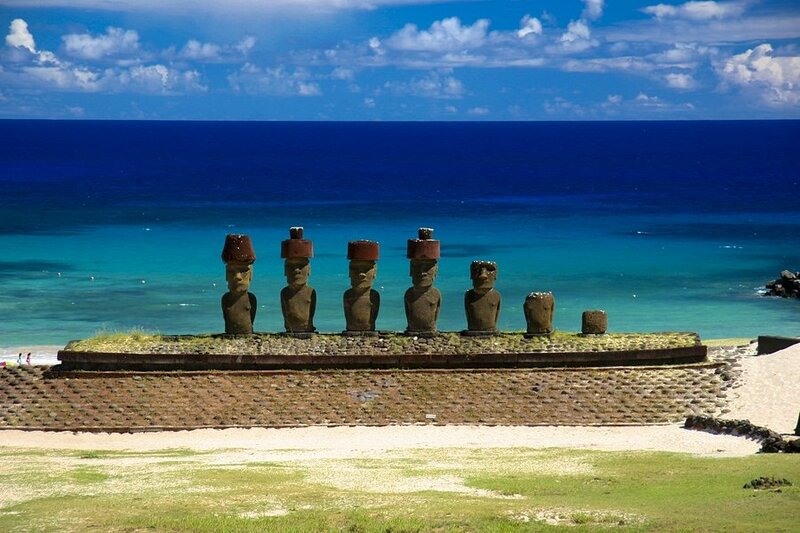 What makes Rapa Nui different from other ancient sites is the ongoing mystery that surround the statues and its makers. A blend of history, culture and extreme adventures, Easter Island offers endless possibilities for every type of travelers. It boasts a certain charm that transports every visitors to a time of the early Rapa Nui civilisations. On day 8, wake up early and join a guided tour to the enigmatic sites of Ahus Vaihu and Akahanga on the south coast of the island. Continue towards the volcanic crater of Rano Raraku. Then for your final stop, enjoy the beach of Anakena. On day 9, visit Rano Kau volcano, the biggest extinct volcano that forms the southwestern part of Easter Island and whose crater is now a fresh water lake. The main archaeological site on the volcano is the ruined ceremonial village of Orongo which is located above the lake on the crater wall. The highlights of this village are the 48 oval stone houses and dozens of petroglyphs dating from 16th to 18th century. Your next destination is Ana Kai Tangata Cave, located south of Hanga Roa. The native term Ana Kai Tangata when literally translated means “the cave of the cannibals” though there is no archaeological proof that cannibalism was practiced by the early Rapa Nui people. Inside you will see some cave paintings depicting the bird man culture. On day 10, explore the ceremonial center of Ahu Akivi, famous for its seven standing Moais who unlike most others (all other moai look inland), looking out towards the Pacific Ocean. 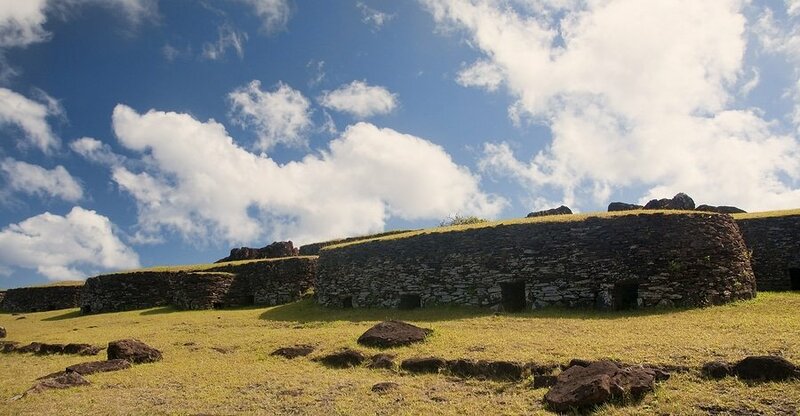 It is believed that the 7 moais of Ahu Akivi represent the young explorers sent to explore the island prior to the arrival of the colonizers led by Hotu Matua. According to oral traditions, the 7 moais are looking out to their original homeland. Another interesting feature of Ahu Akivi is that this ceremonial center is positioned astronomically since the moais look straight to the sunset during the Spring and Autumn equinox. 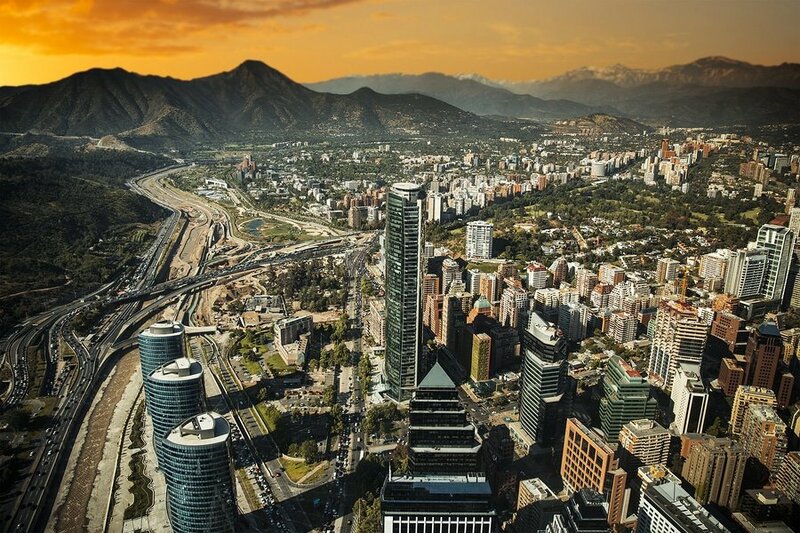 On your 12th day in Chile, catch the earliest flight back to Santiago. 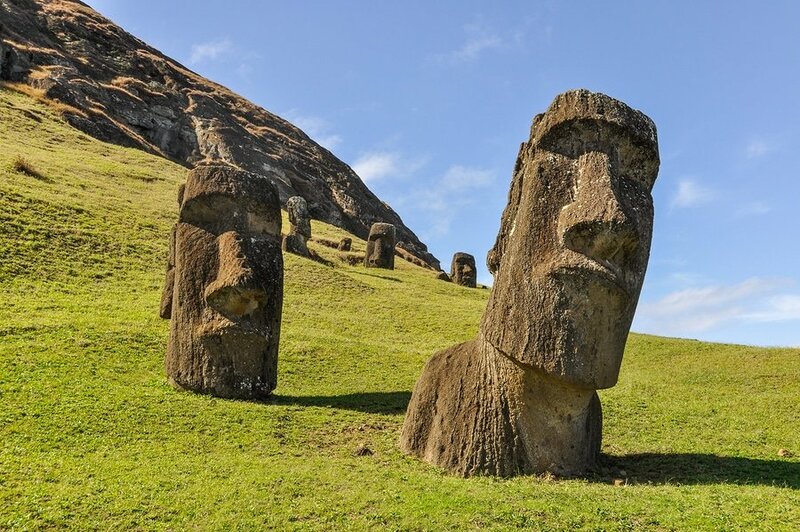 The average travel time between Easter Island and Santiago is 5 hours. And now that you are back in Santiago, check into a hotel in the historic center or wherever you prefer. Visit some attractions in the afternoon or just stay in your hotel. It all depends on your interests and if the pace is a bit breathless, consider skipping a stop to have some chill-out time. 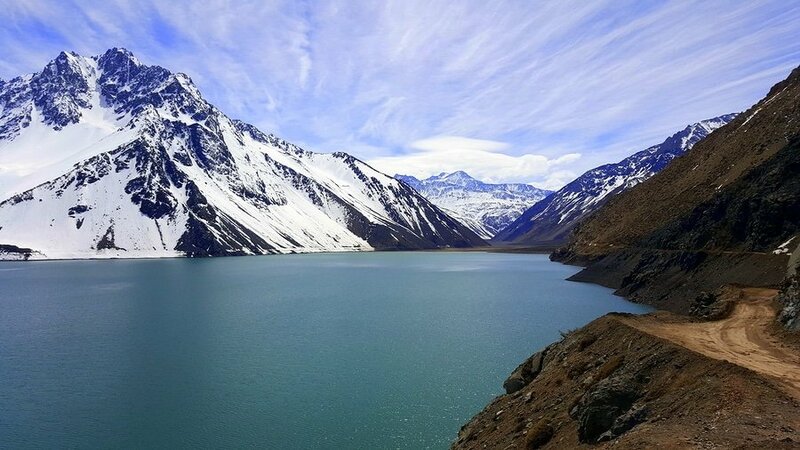 Go on a mountain excursion on your 13th day to see the spectacular scenery of Cajon del Maipo on a full-day tour from Santiago. You will have enough time in the valley to marvel at the views and enjoy the cool mountain air. Make sure to join a tour that includes a visit to San Jose de Maipo, a charming town enveloped by the Andean mountains. Today marks the end of your adventure in Chile. Taking in to consideration that you most likely stayed out rather late the other night, you can start your last day in Chile at around 10 to 11 in the morning. If your flight is in the evening or late afternoon, explore Santiago for other attractions you might have missed. Fit in one last amazing lunch or dinner in the city. You could even squeeze in some souvenir shopping at Barrio Patronato before you travel to the airport. This is the end of our 2-week suggested itinerary. Remember, this is just a guide for planning and is in no way, shape or form the only way to travel the country. There are several alternative routes of travel within the country and it will depend on your intended length of stay. If you have to spare three more days in Chile, consider getting the bus to Valparaiso and fall in love with its famous street graffiti. Enjoy Chile! Have you been to Chile? Do you have any tips or suggestions to share? If so, you can leave your comments below.